Familiarization Flying is an important part of the Air Cadets Program. Detailed information regarding our flying schedule is included on this page. Links to the forms to sign up for scheduled flying dates will be posted on this page closer to each scheduled flying date. For more information about familiarization flying see our post on the blog page of this site. NOTE: Where flying is scheduled both Saturday and Sunday if we are unable to fill both days we may contact cadets to see if they can change their date so we have one full day rather than two part days. Also, where we are not able to fill all flying slots on a single day we may contact cadets to change their flying time to maximize the use of the aircraft. We will not fly flights with only one cadet as is it not an efficient use of Squadron resources. Therefore, on the Wednesday prior to each flying date we will review the cadets registered to fly for that day. Based on registrants at that time we will either a) leave the sign up open because it appears we will fill all of the spaces, b) cancel the flying day due to lack of registrants or c) close the sign up to new registrants and contact those cadets who are registered to fly to determine if they can be reorganized to allow a limited number of flights to efficiently operate. Flying times on all scheduled dates are: 0800 - 1000, 1000 - 1200, 1230 - 1430, and 1430 - 1630. Sign up for all flying dates will be added closer to the scheduled flying days. Please note that in order to ensure that all cadets get an opportunity to fly, cadets may initially only register for one flying date. Cadets who register for more than one flying date will have their name deleted from the second and/or subsequent date they are registered for. As the scheduled flying dates approach opportunities will be provided for cadets to register for extra dates to fill unused spaces on the planes. 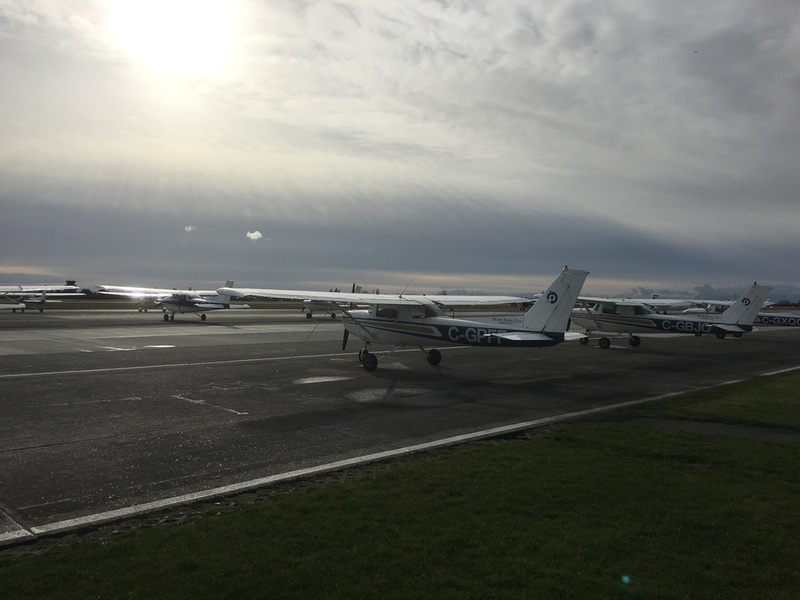 Flying takes place at the Pacific Flying Club at Boundary Bay Airport. The address is Unit 4 - 4335 Skeena Street Delta, BC. If you are driving to the Club for a flight it is NOT located in the terminal building. Once you take the exit off highway 99 at 80th Street and cross the overpass, turn onto Churchill Street toward the terminal building. The turn off from Churchill for the Flying Club is on the left shortly after the turn off for the terminal. Watch for the signs for the Pacific Flying Club at Skeena St. In the event of a cancellation of flying cadets will be contacted by the preferred method they select at sign up. Cadets are to be at Pacific Flying Club and identify themselves to the pilot at least 5 minutes prior to their scheduled shift. Cadets should wear civilian clothing with closed toed shoes and long pants. Jackets are recommended in the event of inclement weather. Parents must remain at the airport while their cadet is flying, as there will be no supervision for cadets on the ground prior to or after their flight. Cadets will be flown for approximately 0.5 hours for each cadet who is on the familiarization flight (for example a full flight will be approximately 1.5 hours).